The first thing you need to do after getting into a car crash is to make sure that you and anyone else involved are all right. The second thing you need to do is make sure your car is alright. The effects of a collision on your vehicle can be intense. Here’s how to take care of your ride after an accident. Some car accidents are so intense that a vehicle is all but unsalvageable, while others have a decent amount of damage that can be remedied. To show you really care about your vehicle, you need to give it a thorough inspection after an accident. First, you should make sure that you’re using a shop approved by your insurance agency. This will hopefully be a business that is honest and has a great reputation. While some vehicular trauma is readily apparent, other aspects might not be so visible. For instance, your engine could be damaged in a way that you would only realize if you tried driving it. There’s no sense in cutting corners with car repairs. Even if it’s expensive, it’s absolutely worth it. You don’t want to get substandard repairs and have to deal with even further damage to your car. Things like scratches and bumps might not have a huge impact on your car’s overall performance, but they’re still things that you want to take care of. You want to get in touch with businesses who specialize in this type of damage. Auto glass repair services are especially necessary for trauma to your windows and/or mirrors. After an accident, it’s worth it to try to make your car look better than ever. A car that has gone through an accident needs to be brought back on the road with as much tenderness as possible. It’s like getting back into running after recovering from a broken leg. You want to make sure you’re being as gentle on your car as possible. Your accident can help remind you of the importance of road safety. 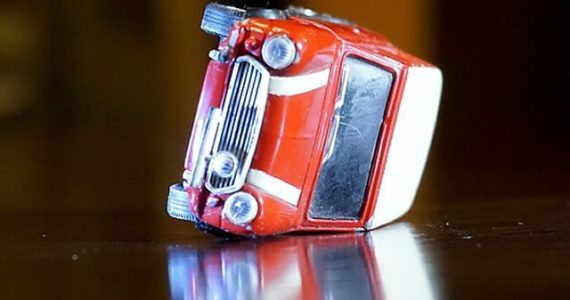 Just because your car has been involved in an accident, it doesn’t mean it can’t be salvaged. The most important thing is to be aware of what’s happened and how to prevent a recurrence. By having it looked over by professionals and driving with even more care than before, you can drive with confidence. Many people are involved in car accidents each year. Some of these events result in the drivers and passengers immediately being taken to the hospital and the cars being towed away. However, other car accidents may be less serious, and they may leave you wondering what steps you need to take to get your life back on track. Walking through these steps will get you well on your way to a full recovery. Unless your accident was a minor fender bender, it makes sense to seek medical treatment. Many drivers and passengers do not feel pain from an accident for at least a day or two afterward. A physical is always a smart idea because it can help you to determine if you have underlying injuries. Remember that injuries may need to be documented as part of the insurance claim. After the matter of your health has been addressed, you can begin thinking about vehicle repairs. You generally should file an auto insurance claim on the same day as your accident or otherwise the very next day when possible. Your auto insurance company has a unique claims process that you will need to follow. Commonly, insurance companies ask you to submit a copy of the police report and any photos of the accident that you took. Medical documentation should also be submitted. Windshield damage is common even in a minor accident. The good news is that this type of damage may be addressed within a day or less in some instances. Many windshield repair service providers can travel to your home as a convenience. Minor damage may be repaired, or a full replacement may be necessary through a company like Auto Glass repair services. This may make your vehicle safer to drive while you wait for your body damage service to begin. Many body repair shops can immediately begin working on your vehicle, but others may have a backlog. To avoid unnecessary inconvenience, call ahead to schedule an appointment. If your car can be driven, you may continue to drive the vehicle until the repair shop can immediately begin working on it. Work with your auto insurance company to find the right repair shop to take your vehicle to. Even a seemingly minor accident takes time and effort to fully recover from. Regardless of the severity of the incident, you may still have injuries and auto damage to contend with. Use these helpful tips to get on the road to recovery. If you have been in a car accident, you could experience a variety of injuries and damage to your vehicle or other personal property. However, you are generally only entitled to compensation if the accident wasn’t your fault. 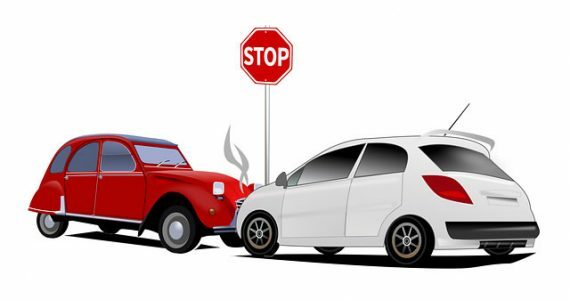 How do you determine fault in a motor vehicle collision? Was the Other Driver Acting in a Negligent Manner? Generally speaking, if the other driver in the crash was acting in a negligent manner prior to the collision, he or she is responsible for the accident. Examples of negligent behavior include talking on a cellphone or driving through a red light. Other examples include making a left turn at a red light or not stopping for a school bus or ambulance with its lights on. Who Is at Fault for a Single Car Crash? In the event that a collision involves just a single vehicle, the driver of that vehicle is not necessarily responsible for the crash. 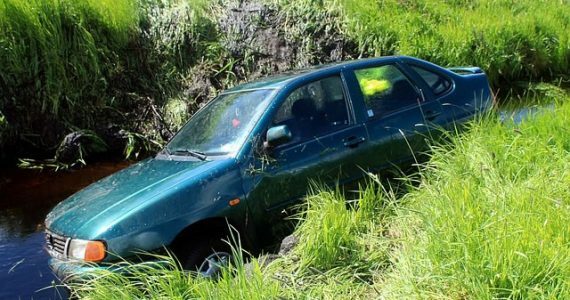 For instance, if a road was poorly designed, the government agency responsible for overseeing road safety could be found liable for the accident. If faulty brakes played a role in a crash, the brake manufacturer could be liable for damages. In some cases, drivers in multiple cars could be deemed negligent. For instance, if both drivers were on a phone prior to the collision, they would likely both bear some responsibility for the collision. The same could be true if one driver was impaired but the other ran a stop sign in the seconds before a wreck. If an injured driver is found partially liable for his or her injuries, it will reduce the financial award that he or she is entitled to. 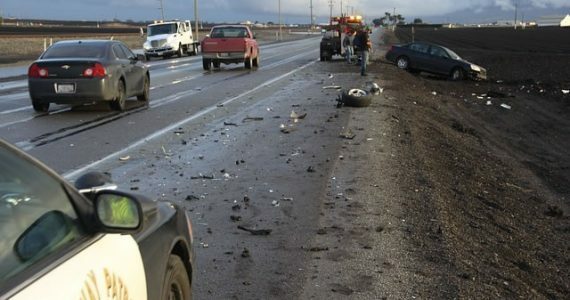 If you have been involved in a collision, it is important that you consult with a car accident attorney. He or she will be able to tell you more about how the law determines who was at fault for an accident. Your legal counsel can also work to maximize the amount of any financial award that you receive. A larger award may make it easier to provide for yourself and your family. After a car accident, your top priority should be holding those who caused the crash responsible for their actions. This may be done by gathering physical and video evidence from the crash scene. Hiring an attorney may also make it easier to get justice after a motor vehicle wreck. An accident isn’t something that anyone wants to happen. Sometimes, things are outside of your control. The only thing that you can do is handle the situation to the best of your abilities. 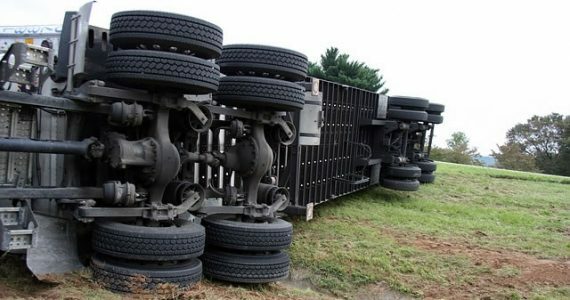 Here are some of the best practices that you should follow after you and your truck have been involved in an accident. Try to remain calm at the scene of the accident. Make sure to exchange information and determine if there are any injuries. This will determine if the authorities need to be contacted. Notify your employer and your insurance agent that you’ve been involved in an accident. They can start the paperwork process and help you through the situation if you require assistance. It’s always a good idea to take pictures and document the events surrounding the accident as you best recall. Your memory will likely become fuzzy about what occurred the farther away you get from the event. Write down license plate numbers as well as the insurance information for the other parties involved in the incident. You may be able to drive your truck for repairs, or you may have to have it towed to a repair shop. Depending on the extent of the damage, this will dictate the type and length of time that will be required to complete the repairs. Select a repair shop that has experience working on your type of truck. Use a company like Florida Truck & Trailer CO to help get you back on the road. More time that’s spent fixing your truck means that you’re out of commission longer. You may be able to be reimbursed for your expenses regarding the required repairs and the lost time from work. This could mean the difference between you being able to make ends meet during this trying time. You may be able to be reimbursed by your insurance company or the insurance company of the other party involved if the accident was their fault. You have options when it comes to paying for the repairs to get you back on the road. The first priority after any accident is ensuring the safety of yourself and others. Once this step is covered, you can get down to the business of taking care of your truck. Don’t settle just to get things done quickly. Take the time to make sure that things are handled correctly and to your satisfaction. Driving a vehicle on a daily basis is a practical necessity for many people. When you were looking to drive your car, you are always taking on some risk of getting into an auto accident. If you are in an auto accident, you could end up getting hurt or injured during the crash. While this can be hard to deal with, there are things that you can do to ensure that you are able to recover as quickly as possible. After you have been in an auto accident, you should make sure that you are checked out by a doctor immediately. Even if you feel fine, there could be some head or internal injuries that could be causing more serious damage. By receiving a full medical examination, you will be assured as to whether or not you are injured. If you feel a certain type of pain or discomfort after an auto accident, you should consider seeing a specialist. For example, if you are having issues with back pain, seeing a spine specialist like an accident recovery chiropractic could be very beneficial. They will be able to provide a more thorough examination and determine what exactly is causing you pain. This could then allow them to create a treatment plan that will work for you. Once you have seen a doctor, it is important that you follow the guidance of the medical professional. In many situations, there will be a very strict set of rules and procedures that you will need to follow. This can include restricting some physical activities, going to see the doctor on a regular basis, and even doing therapy at home. By following the schedule, you will be able to stay on track and eventually recover fully. Finally, it is important that you take advantage of your resources as much as possible. If you have been in an accident and incur an injury, you should be entitled to an insurance claim from either your insurance company or the insurance company for the at-fault party. This should help to provide you with the protection that you need to pay for any medical and therapy bills that arise. Ultimately, when you are looking to recover from an auto accident injury, you need to make sure that you are diligent about your care. The only way that you will be able to recover is if you consider your recovery a top priority and take it seriously.